Should I take HPV vaccine for preventing Cervical Cancer? Cynthia, my secretary, said that her aunt aged 54 was advised by a gynaecologist to take the HPV vaccine for preventing Cervical Cancer. It is quite tempting to opt for any technique to prevent cancer and rightly so. Yes, Cervical Cancer is caused by six strains of the Human Papilloma Virus (HPV). 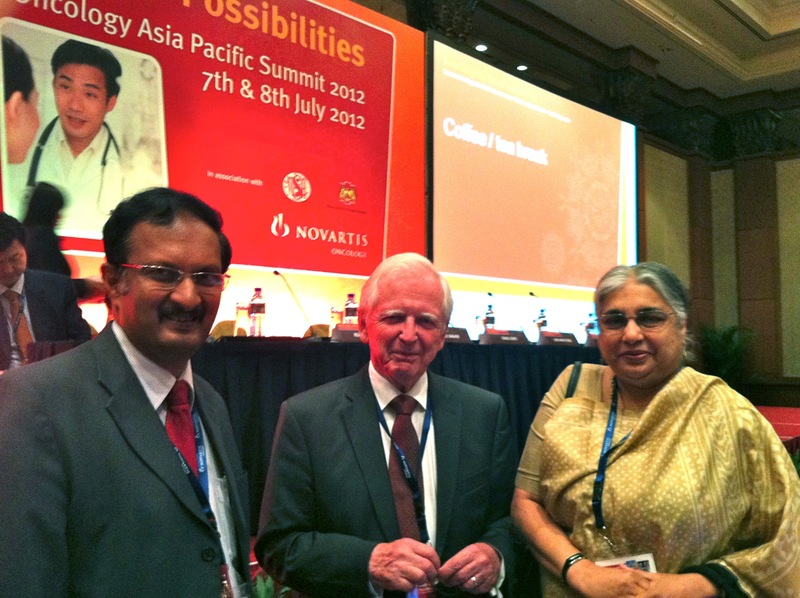 This has won Nobel prize for Prof . Zur Hausen. The vaccine contains recombinant DNA of 2 or 4 of such virus strains. The IMPORTANT FACT is the vaccine is recommended to be given before the sexually active age i.e preteens aged 11-12. Certainly not after 25. This also created a lot of controversy in India as this was actually tested in rural population where none had knowledge of Cervical Cancer nor did they benefit from the vaccine. Cervical Cancer, worldwide, even before the advent of the vaccine, started falling and this was evident as in most of the developed world. Cervical Cancer has gone down significantly from No.2-3 position in many countries and is mainly the problem of eastern and northern Africa and parts of developing world. .
Why did this happen when they were not even vaccinated? Even a pap smear screening was not implemented in many countries like India. But in the urban population, even in India, Cervical Cancer started coming down. The simple reason is that Cervical cancer is largely related to a number of children, early marriage and most importantly the personal hygiene of women. As the lifestyle has changed, personal hygiene improved. Number of children are limited to 1 or 2 and the age at marriage has progressively increased. So, social dynamics and personal hygiene reduced the incidence of Cervical Cancer. Some side effects of headache and fever are reported. In Japan more serious effects like persistent body aches, joint pains made the government suspend promotion of vaccine. India also has adopted a cautious approach. The vaccine would not protect once there is infection and so has to be given early. The cost is around 300 USD for 3 doses and in those highrisk populations, it would never be affordable. The risk of cervical cancer is reduced by 43% and screening by pap smear is still recommended. Readers of this blog are NOT at risk. They are healthy, mostly over 15 and definitely conscious about hygiene. So don’t panic if some one advises HPV vaccination for you. You can carefully consider for young girls. Mehta, a 50 year old accountant is an anxious patient with a very anxious family. He was diagnosed with Liver Cancer. As I said in my last blog, due to undetected and untreated Hepatitis B, he had multiple tumours of the liver and it seems very logical for the family to opt for a ‘change of liver’ or liver transplantation. The family was prepared to donate half a liver as cadaver donations are rare. I thought I would clarify some of the issues related to this. First, let’s see how the normal liver looks like. A normal liver is a huge organ situated largely in the right rib cage and well protected. It is a phenomenal metabolic factory, a filtration and manufacturing plant. Nearly 5 litres of blood goes through it every 5 minutes. The liver purifies the blood from all the toxins, food indulgences, alcohol and all the insults we subject our body to. It also has important functions of synthesizing proteins and also storing extra energy for utilization in the periods of starvation. 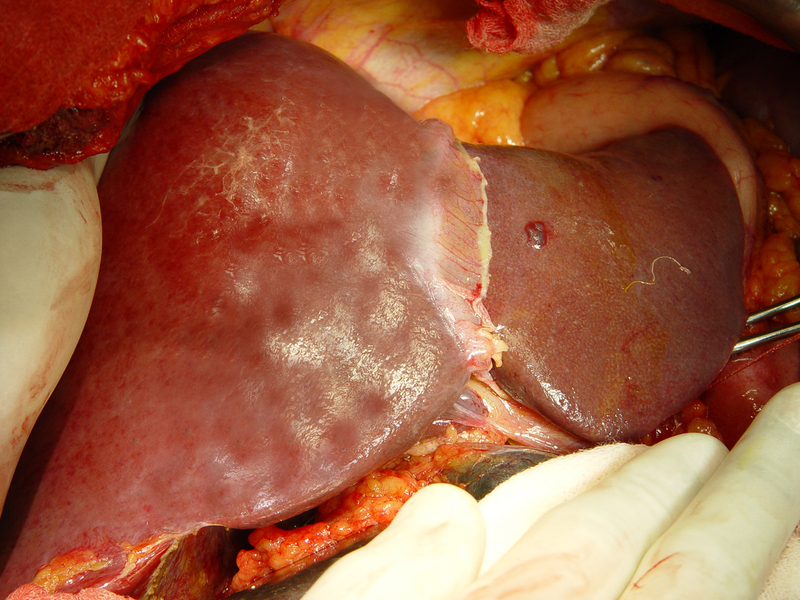 Though the liver looks like a single organ, it is actually made up of 2 lobes, right and left. Advances in surgery have made it possible to remove nearly 60% of the liver. Its remarkable that the remnant liver regrows in just 2 weeks to its original volume. So, liver resection or removing part of the liver can be easily be done for liver tumours leaving a healthy normal liver to regrow. What about ‘change of liver or liver transplantation’. It is an entirely different procedure, first initiated by Thomas Starzl. It is actually done in diseases where the liver fails when practically 80% of liver stops functioning. Also in children where bile ducts are not formed and some genetic defects leading to rare metabolic diseases. In these conditions liver transplantation works like magic. However when it comes to tumors, the picture is not always rosy. There are many tumors and cancer cells are in circulation and are not just confined to Liver. The transplanted liver is immediately infected by the cancer cells. So we have to be cautious in selecting and advising patients on liver transplantation for tumours. Some scientific criteria have been developed, so called Milan criteria. In large tumors or multiple tumors, liver transplantation will not be beneficial. I advised Mr. Mehta against transplantation. It should not to be taken as an emotional decision but a rational approach. So the next time that you ask for change of liver, ask the doctor and also ask yourself if the major procedure would actually give an extension of lifespan with good quality of Life. That is the key question. Today is Organ Transplant Day. Yes, we need to promote cadaver donation as so many kidneys are going waste when today patients are on life long dialysis. I really do not think it is a cultural issue as there is nothing in any religion against this form of donation, of one’s organ. It is just that we need to go cut through a bureaucratic red tape and develop the right kind of infrastructure for organ sharing. Co-operation between public and private hospitals with motivated transplantation coordinators is the key of success in organ transplantation as in Spain. It’s more of motivation of society than a medical issue.